Some people believe that since breastfeeding is a natural process, it should come naturally to a mother and she doesn't need any help to nurse her baby properly. But is it actually so? For new moms, who have never had a baby before, it isn't so simple. They have a number of questions and concerns about how they should breastfeed their child, what they should eat during this period of their life, whether they can do sports, and so on. A lot of women also worry that, if they can't handle breastfeeding for any possible reason, or if don't like the feeling of it, they're bad parents. Feeling too shy to talk about it to their lactation consultant, or anyone else they know who has had an experience in nursing a child, they don't realize that it doesn't make them a bad mom at all. So to help new mothers who are considering breastfeeding their baby, but feel like they need to know more about it, we have come up with a list of the most common (and some embarrassing) questions about this natural, but complicated, process and found the answers of specialists for them. This is the question that bothers most new moms. Since they've never breastfed a baby, they have no idea how it feels and want to know if nourishing their newborn might make them feel uncomfortable. Specialists say that it doesn't hurt, in most cases. "Sore [nips] are a common problem in the early weeks of breastfeeding," says Deedee Franke R.N., a board-certified lactation consultant and maternal child nurse at Mercy Medical Center in Baltimore, MD. "Usually that means the new mother needs some help with her positioning and latch, but it should not hurt." So as soon as you learn how to breastfeed, everything should be fine. In the meantime, just use special creams to soothe your sore caps. 19 Can I Breastfeed, If They Are Inverted? There is no difference, whether your nip, are normally shaped, flat or inverted. Your newborn's latch is enough to pull out the nip and take the milk. Besides, inverted chest caps tend to pop out themselves, when you get into the breastfeeding rhythm. However, there is still something you need to know. 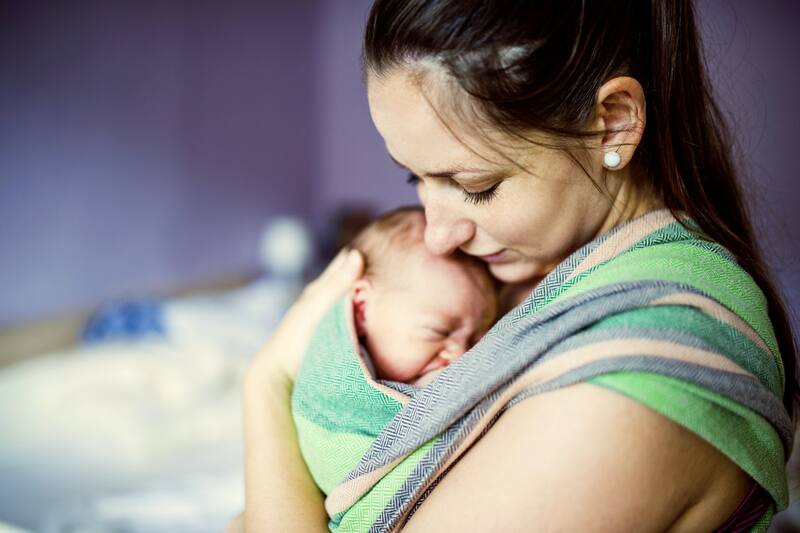 In the first days, when you and your little one are still getting used to nursing, it might be a good idea to use nip shells or a big cut-off syringe to prepare your girls for the process and pull out the chest cap for your baby. 18 Does Smaller Mean Less Milk? There's a misconception that the size of breasts determines the amount of milk a woman can produce. However, the size doesn't really matter in this situation. Milk is produced by the mammary glands inside, while the cups themselves only store this milk. In fact, women with larger chests encounter even more challenges, because it's harder for them to find comfortable nursing positions. At times, they will even need some aids, like a nursing pillow, to feel more comfy. But, other than that, the size and shape don't determine the success of your breastfeeding practice, so don't worry if your girls are a bit smaller than you'd want them to be. 17 Is It Possible To Get Pregnant While Breastfeeding? While breastfeeding, many women enjoy an unexpected perk: they don't have a period during this time. According to pediatrician Jack Newman, M.D., author of "The Ultimate Breastfeeding Book of Answers", "Prolactin, which is stimulated, can inhibit your cycle. If mothers breastfeed exclusively for more than one year, they often won't get their periods for an average of 14 months." For this reason, a lot of women think that they can't get pregnant while breastfeeding. But in fact, even though it's unlikely, there's a possibility that it'll happen. So if you don't want another baby so soon, consult with your doctor about using a safe estrogen-free birth control method that won't inhibit your milk supply. 16 Will My Girls Sag Because Of Breastfeeding? Contrary to a popular misconception, breastfeeding doesn't make your breasts sag. Stretching doesn't happen due to your baby on your chest, but due to other reasons. While you're pregnant, your chest naturally increases in size and the tissue stretches. After you give birth, the extra volume gradually goes away and it can result in sagging chests, whether you breastfeed or not. Besides, such factors as aging, genetics, and bad habits play a role in sagging. Gravity is a great force, after all, and no one can go against it. So if you want to choose not to breastfeed only to keep your girls from sagging, think again. 15 Can I Drink, Just A Little Bit? A lot of mothers are completely against drinking alcohol while breastfeeding, but others are sure that a little bit of wine won't do any harm to the baby. In fact, one glass of wine is fine, so you can drink it to relax and unwind. But keep a couple of precautions in mind. First and foremost, remember that your milk-alcohol level equals your blood-alcohol level. According to Julie Mennella, Ph.D., who studies alcohol's effects on lactation, "If you have a buzz, it's still in your milk." It means that you shouldn't breastfeed your baby for about 3 hours after drinking. For this reason, have some pumped milk in store to give it to your child and dump the alcohol-tainted milk down the drain. And, of course, remember that only an occasional glass is fine, because more frequent alcohol consumption decreases your milk supply. 14 Can My Baby Be Hungry? If a woman doesn't breastfeed properly, her baby can remain hungry even after a breastfeeding session. It rarely happens, but you should still take steps to make sure that it's not happening to your baby. To do it, feed your baby every few hours, listen for the sound of them swallowing your milk, and count the number of their wet and solid diapers to check how much they're eating. Keep in mind that a breastfed child should have 5 to 6 wet diapers, as well as 2 to 4 loose, mustard-colored contents in 24 hours. If your baby has less, it might mean that they don't get enough milk. In this case, you should consult a pediatrician. Leaking can be embarrassing for a new mother, especially if it happens at a public place. However, it's completely natural and you shouldn't feel bad for having stains in interesting places on your t-shirt once in a while. 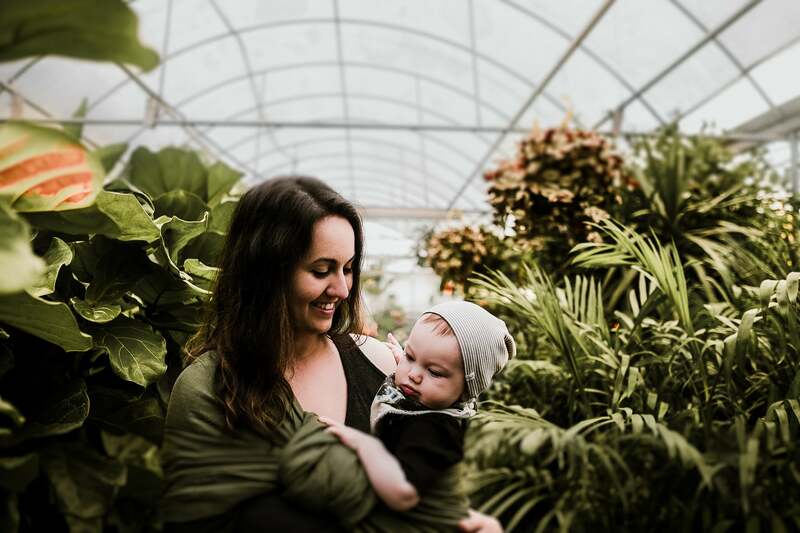 "As a new mom's milk supply gets established it's not uncommon to experience some leakage," says Tracy Donegan, midwife and founder of GentleBirth. "Pads can be your best friend in the beginning as things settle down." Leaking is likely to happen, when a woman is thinking about her baby or hears another baby crying. "If that happens, bring your arms up firmly over your chest for a minute or two and that will stop it," Donegan recommends. 12 Can I Breastfeed If I'm Sick? We all get sick at times, and mothers of newborns are not an exception. It makes mommies worry, because they don't know whether they should keep on breastfeeding their babies during their illness. So here's the answer - in most cases, it's absolutely safe to continue breastfeeding, because most illnesses won't harm your kid. Besides, since your body produces antibodies to fight an illness, these antibodies will also be given to your child through your breast milk.But if you need to take certain medications to cure your illness, you should consult your doctor and ask if they're safe for your child. In most other cases, it's totally fine. 11 Can I Breastfeed In Public? Breastfeeding in public is a debatable issue. A lot of people think that it's a very personal thing and a mother shouldn't give her chest to her kid in a public place, but more and more individuals become sure today that it's a natural process and there's nothing to be ashamed of. Nevertheless, even though the laws allow breastfeeding in public, certain people remain rude to nursing mothers and it makes them uncomfortable. So the choice whether to breastfeed in public is totally up to you. If you feel okay about it and don't really care about the personal opinion of strangers, just do it. 10 My Twins Look Funny. Is It Normal? During the breastfeeding period, your girls can behave in a really weird way. You might notice that at times one of them is much bigger than another one, or that they become as hard as rocks. The first situation is linked with your baby taking milk from one over the other most of the time, so alternating them from one feeding to another is highly recommended to keep them a relatively similar size. And if your twins are too hard, it might mean that there's a lot of milk in them and it's probably time to feed your baby, or to pump. So don't worry about it. Whatever happens to your chest while breastfeeding is probably natural. If any concerns remain, just consult your doctor. A lot of women have concerns about their coupled life, while they're breastfeeding, especially when it comes to their sore nips. It's absolutely normal to experience leaking, so you should be ready for it and feel okay about it, too. The general recommendation for this issue is simple. You can certainly be with your partner while breastfeeding. 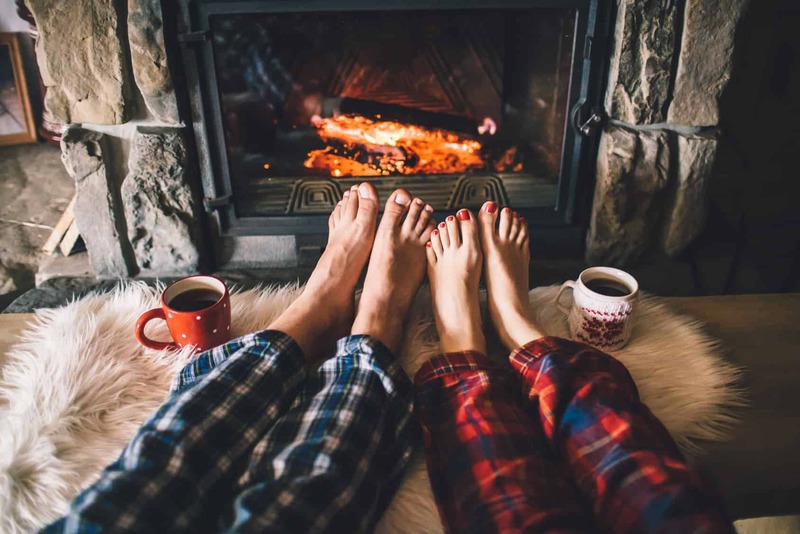 If you feel uncomfortable about anything, whether it's sore caps, leakage, or anything else, be open about it with your partner. When you have mutual understanding with your significant other and resolve all the concerns together, you can certainly enjoy each other. 8 May I Do Sports, While Breastfeeding? If you're an active woman, who can't imagine her life without sports, you might want to ask this question. Here is the good news - you actually can exercise as soon as you've been cleared for physical activity. Just keep a couple of things in mind to make the process more pleasant for you. First, since the bouncing movement can be painful for your sensitive girls, it's a good idea to wrap your chest or wear two bras, while you're jogging. Besides that, make sure that you're eating a sufficient number of calories, because breastfeeding alone burns about 300-600 calories a day and exercising burns even more. All in all, rely on your body to know how you feel about different things and understand how you should behave. 7 How Can I Pump, If I'm Not Home? If you're going away from home and need to pump, it can seem to be a challenge. But if you take the time to plan how you're going to do it and take everything you need with you, it won't be such a hard task. So you need to have everything to make your pump work. Some of them plug in, others need batteries, so whatever it is that yours requires, make sure you'll have it. Besides, take a cooler, an ice pack and several containers to store your milk. As for the place where you can pump, don't be shy to ask people around you to provide you with such a place. More often than not, people will give you some privacy, so you can pump in peace. 6 How Should I Eat? Many breastfeeding women have a lot of questions about food. But in fact, there is nothing difficult about deciding what to eat in this period of your life. The general recommendation is eating as healthily as you can. Just make sure that you're getting enough calories and nutrients to keep yourself and your newborn healthy. "Eat whole grains, fruits and vegetables as well as foods containing calcium," says Laurie Beck, R.N., I.B.C.L.C., president of the Morrisville, N.C.-based U.S. Lactation Consultant Association. Remember that your milk is rich in calcium and, if you don't get enough of this element, your stored calcium will be used up. 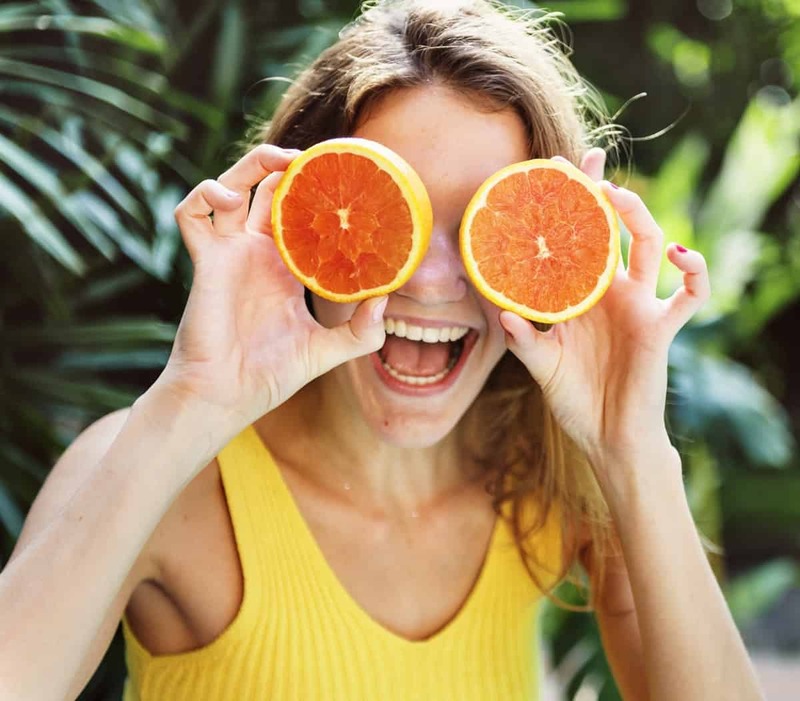 "If you're not a milk drinker, get calcium in other foods, such as cheese, yogurt, spinach and other dark leafy greens as well as fortified cereal and orange juice," Beck recommends. 5 What If My Baby Bites Me? Many new moms are afraid of being bitten by their kid during breastfeeding. For this reason, as soon as their baby begins teething, some moms decide to stop breastfeeding. However, biting doesn't usually happen and if you're a bit more careful, you can keep on nursing your child even when they have their first teeth. "If your baby does it once, take her off [...], and that negative reinforcement usually takes care of the problem," Beck recommends. Besides, you can reduce the risk of being bitten accidentally, if you give your child something hard and cold to chew on before nursing them. 4 My Baby Doesn't Want My Milk. What's Going On? Even a baby who usually breastfeeds with no problems sometimes may have a "strike" and refuses your milk for some time. If it happens, there's usually nothing wrong, and you should just know what to do in these cases. Find out the cause. For example, you might check if anything's changed in the last few days, like if you've been more stressed than usual, or if you smell differently due to a new soap or shampoo. Also, check your baby for any infections that can make feeding uncomfortable for them. Alternatively, this problem may occur when your child's teething begins. So try to minimize distractions, nurse your baby when they're sleepy and more willing to cooperate, and check that everything's fine with their health, and you'll get back on track with breastfeeding in no time. 3 What If I Can't Do It? A lot of new moms worry that they won't be able to breastfeed for one reason or another. It's okay to worry, because it's a new experience and there are so many unknowns about it, but make sure that it doesn't bother you too much. Remember that if you're too stressed out, nursing your baby can become a problem. So just try to relax and give it some time. When we start doing something new, it's almost always difficult, but practice makes it perfect. In a few weeks, you're likely to get used to nourishing your child and all problems are likely to just go away by themselves. 2 Or, What If I Don't Like It? Of course, not all women like breastfeeding their child and some still feel uncomfortable after a few weeks of trying, while others just don't like the feeling of it. In this case, it's totally okay to bottle feed your child. "There are some mothers that physically don't enjoy the act of breastfeeding, but want to provide breast milk for their babies," Franke says. "It is an individual choice and an act of love and commitment." 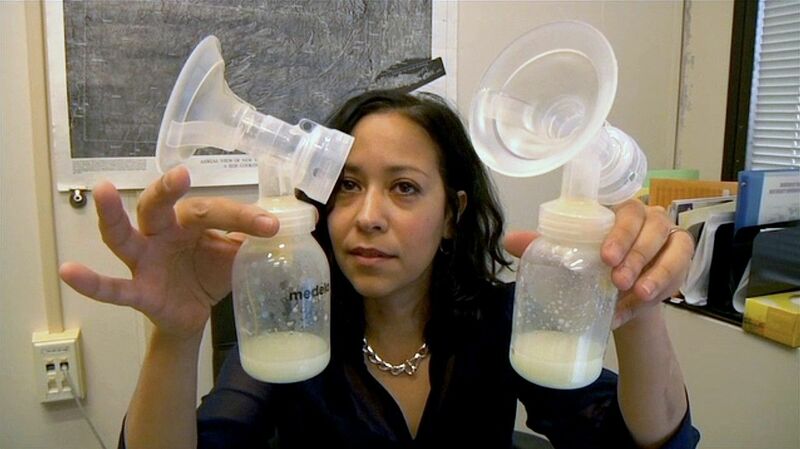 If you want your child to get the benefits of breastfeeding, but don't want to nurse them, it's okay to pump your milk and feed it from bottles. Or you can always choose to feed your baby with formula. Anyway, don't feel guilty about your choice and remember that if you love your baby, nothing else is important. 1 Will I Need Any Help? Even though breastfeeding is a natural process and your body is specifically designed for it, it doesn't mean that every woman knows how to breastfeed. So if you have any questions or concerns about nourishing your baby, you can always ask your doctor. After all, nursing your baby is a learned process and a lot of new mothers need support, until they get enough experience to do everything by themselves. Apart from asking a lactation consultant about your concerns, don't feel embarrassed by talking to other people about breastfeeding. It can be anyone, from your family member or friend, who breastfed in the past, to a social media group that gives recommendations to nursing mothers. Remember, anything that makes you calmer and more confident, works for you and your baby!